The Remarkables area is well know for it’s mirror flat glacial tarns, golden tussock hills, schist outcrops and bluffs, streams and waterfalls, unique flora and fauna, and spectacular views over Lake Wakatipu. Single and Double Cone the highest mountains in the Remarkables range dominate the landscape towering above the glacial valley. The birds found in the alpine environment of the Remarkable's and the Doolan's include New Zealand falcon and the Kea, the worlds only alpine parrot, which can be seen year round. The prominent vegetation is snow tussock but the area also includes a wide variety of other special plant species including small alpine flowers that cover the Remarkables area in the spring and summer seasons. Cairns mark the path of our journey through the alpine wetlands as we climb up to a glacial cirque and Lake Alta. 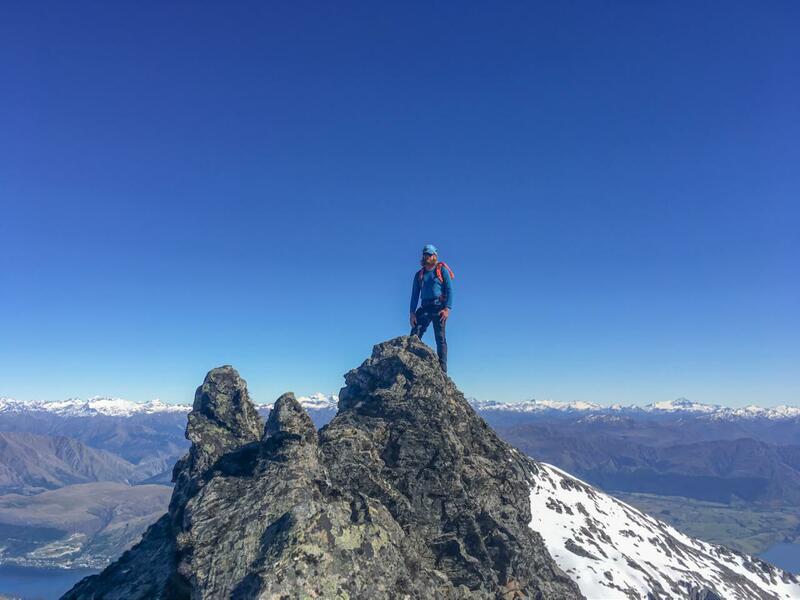 From Lake Alta we climb to Wye pass and then on to the summit of Wye Peak to gain views of the Remarkables and the surrounding peaks of New Zealand's Southern Alps.